NYRR Striders exercise fun with Asteria. "Come as you wish, no need to sign up," says Director of Outreach and Community Engagement Hallie Shapiro, "Get fun giveaways, and get fit walking around the island." According to New York Road Runners, which manages Striders sessions throughout New York, "The NYRR Striders program is geared toward adults 50+ (younger adults are welcome to participate as well) and aims to improve attitudes toward exercise, to make running and walking more accessible, and to increase the presence of fitness walkers and older adults in NYRR five-borough events year-round." What's more, if you're ready to take it up a notch, "NYRR Striders participate in events such as the NYRR Washington Heights Salsa, Blues, and Shamrocks 5K, Run as One Walk Presented by JPMorgan Chase, Global Running Day, the NYRR Youth Jamboree Presented by Tata Consultancy Services, and the Percy Sutton Harlem Walk." 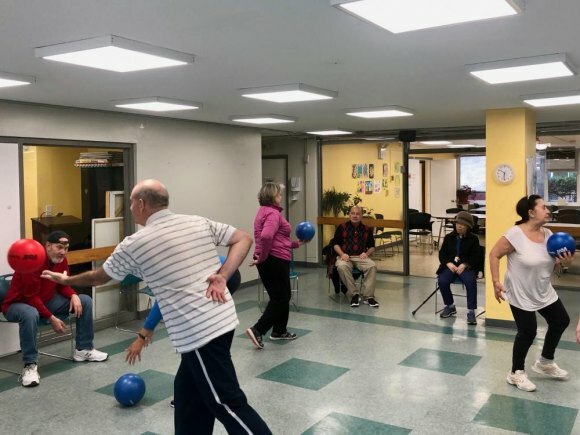 Treat yourself and celebrate spring with this new, free program from The Carter Burden Network at the Roosevelt Island Senior Center, 546 Main Street.